Let me transport you back in time and give you a snapshot of a 12-year-old Luke Richardson. Prepubescent, paunchy, and prone to the occasional (daily) white chocolate milkshake, I wanted to be a movie star. They were only dreams, however. I just didn’t have the passion, nor the drive to put down the dairy goods and make a good ol’ thespian crack at it. Zombie Girl: The Movie, is a pleasant and surprisingly candid American trio Justin Johnson, Aaron Marshall and Erik Mauck about another idealistic 12-year-old. Equally adolescent, less rotund and only just a bit more feminine than I, Emily Hagins’ is a Texan turning her filmmaking dreams into a reality as she goes into production of her debut zombie flick Panthogen. Filmed after school and on the weekends with low-budget digicams, thrift-store props, classmate extras and a devoted mom turned assistant director, Emily’s “anything possible” spirit makes for a delightful watch. 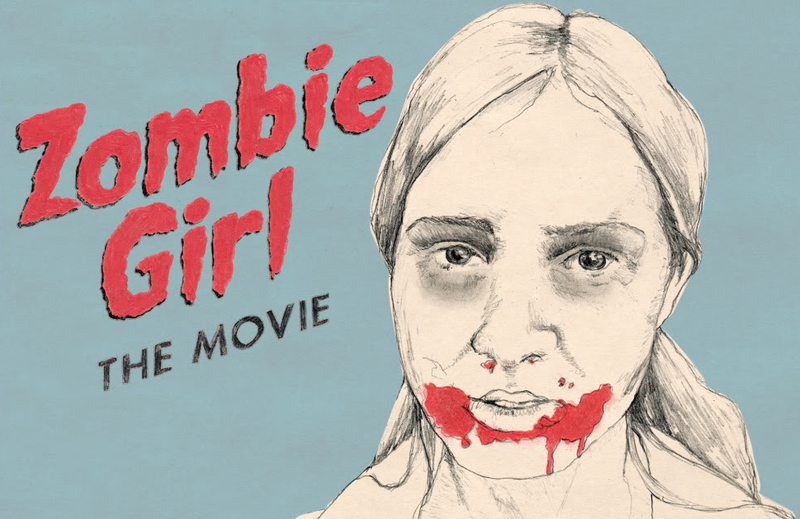 Unsurprisingly, Zombie Girl reminded me of 1999’s hilarious, Christopher Guest-like documentary American Movie (my favourite documentary I’ve seen all year). But, instead of hitting us with laughs, the documentarians impress with a heavy-hearted story. Even when the continuous production shoots of Emily with her crew can be a little tiresome, and the film she is creating looks absolutely terrible, the central relationship between Emily and her resourceful mother is the real driving force and soul of the documentary. With such a strong work ethic, it’s easy to forget that you’re watching a 12 year old girl make a zombie movie. When things go awry, such as losing film recordings or a short-tempered, catty exchange with her mother, we feel all the more devastated for Emily. No longterm worry though, even as she hits the bumps in the road, Emily’s stalwart professionalism drives her through to the Pathogen premiere at Austin’s Alamo Drafthouse in front of a sold-out crowd. It would have been perfect end to get some audience reactions at the premiere and some further follow up contextualisation of where Emily is now (20-years-old with a rapidly expanding filmography), but Johnson, Marshall and Mauck prefer to leave things open-ended. Perhaps that’s ultimately for the best. Although Emily Hagins may struggle to turn her filmmaking hobby into a lucrative career, the very fact that non-budget, digital filmmaking enables her to try is inspirational for us all. Lots of heart, lots of zombies, lots of fun. This entry was posted in ★★★★☆ (4) and tagged aaron marshall, American Movie, Christopher Guest, dawn of the dead, documentary, emily hagins, erik mauck, justin johnson, megan hagins, pathogen, zombie documentary, zombie girl, zombie girl the movie. Bookmark the permalink.